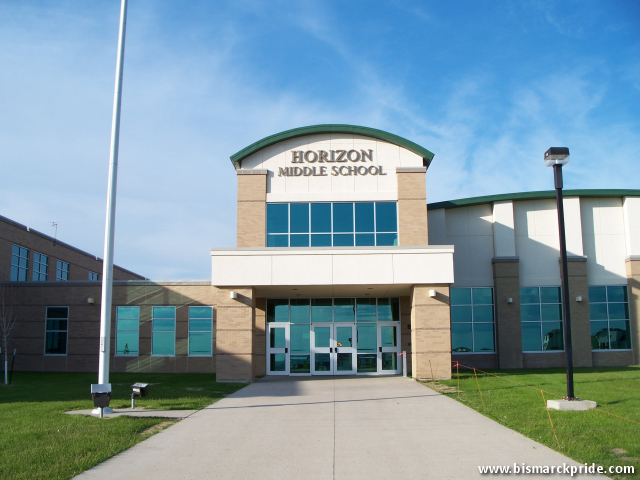 Built in 2000, Horizon Middle School is the newest middle school building in Bismarck. Horizon replaced Hughes Middle School when classes began in January 2001. Horizon was the first school in Bismarck specifically designed to accommodate the middle school format, even though Wachter Middle School was first to use the format in 1991, with both Simle and Hughes switching shortly after. Voters overwhelmingly authorized a $57.5 million bond measure to finance an expansions to all three middle schools, including Horizon, as well as adding a 650-seat auditorium to Bismarck High School and additional classrooms at Century High School. The middle school projects are expected to complete by fall 2018.